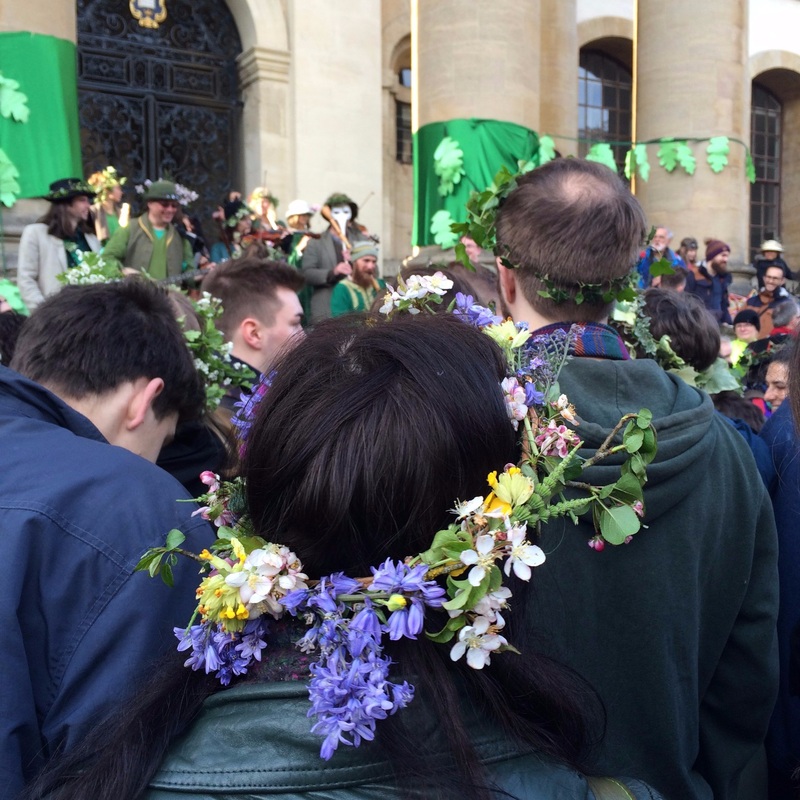 Garlanded, green-clad figures playing ancient dance tunes on skirling bagpipes, fiddles, squeezeboxes... the Whirly Band has become as distinctive a feature of May Morning Oxford as the Morris and the choir on Magdalen Tower. Yet it is a fairly recent phenomenon dating only from 2004. 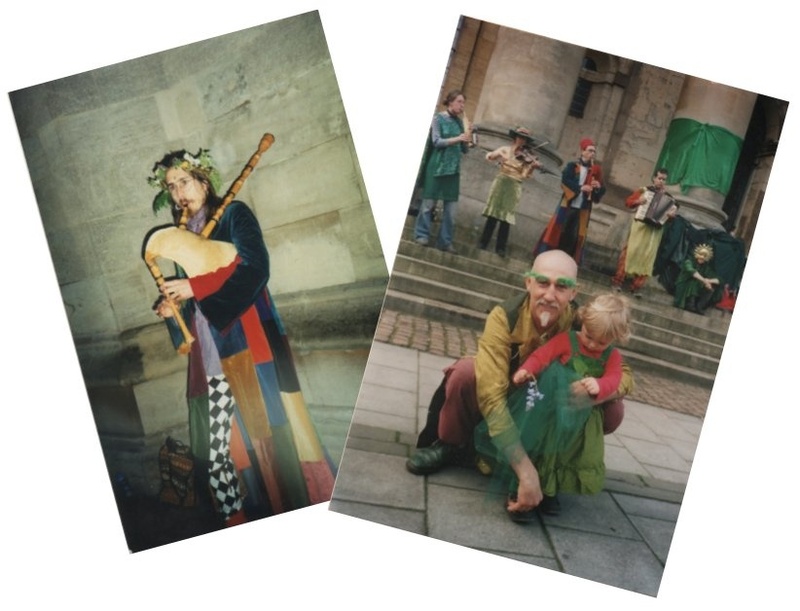 The musicians include some of the most talented folk and early music players in Oxford. 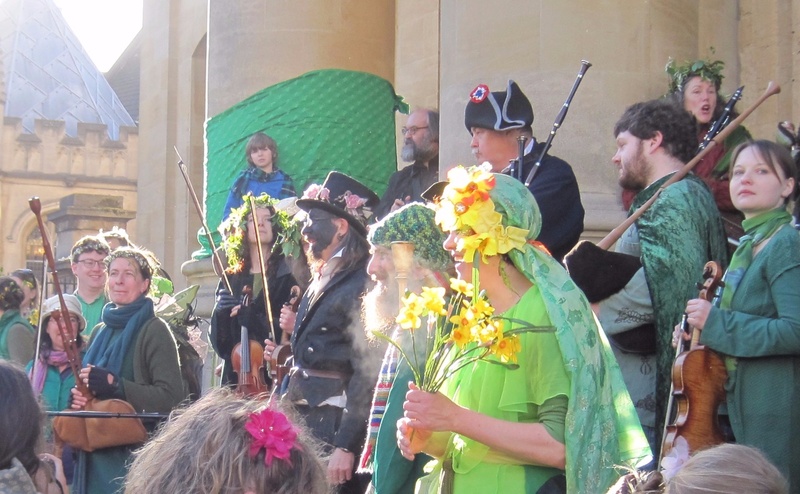 They perform just one gig a year - and that is on the steps of the Clarendon Building in Broad Street on May Morning. 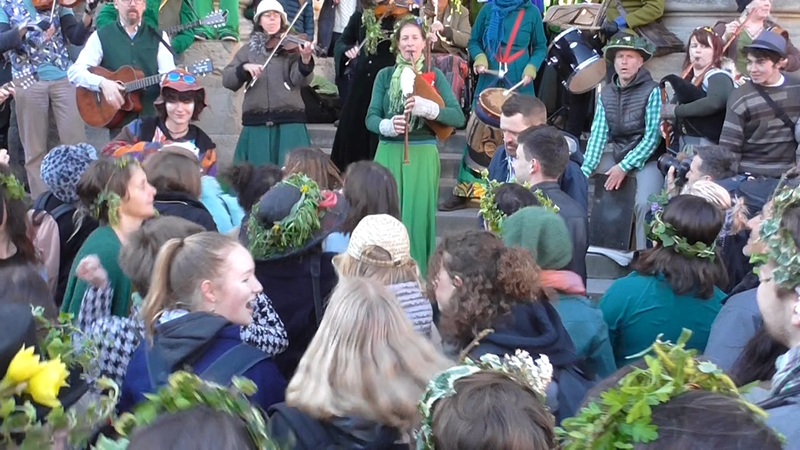 Their oldest tunes - Sumer is Icumen In and Miri It Is - date back to the 13th century when Oxford's first May Day revels were reported. 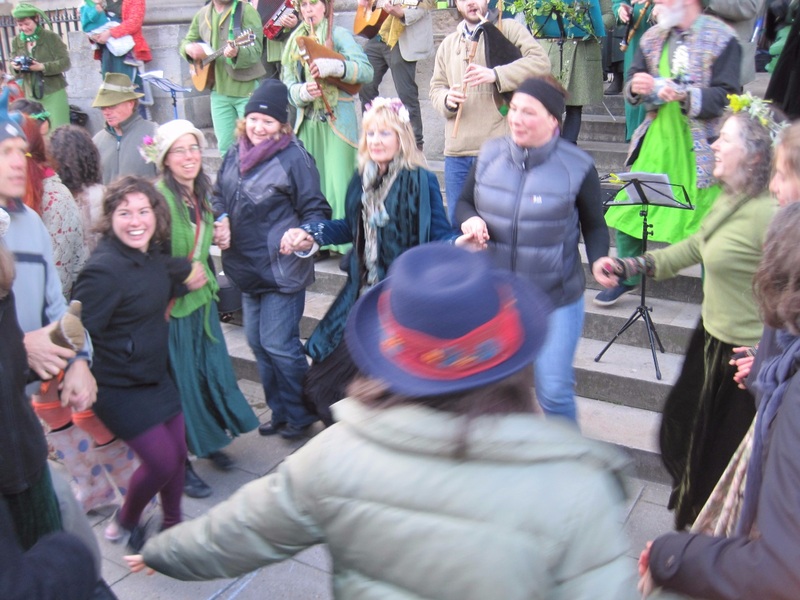 If anything evokes the feral spirit of the early celebrations - green nature engulfing the city with jubilant music and dance - it is surely the Whirly Band in full flow. 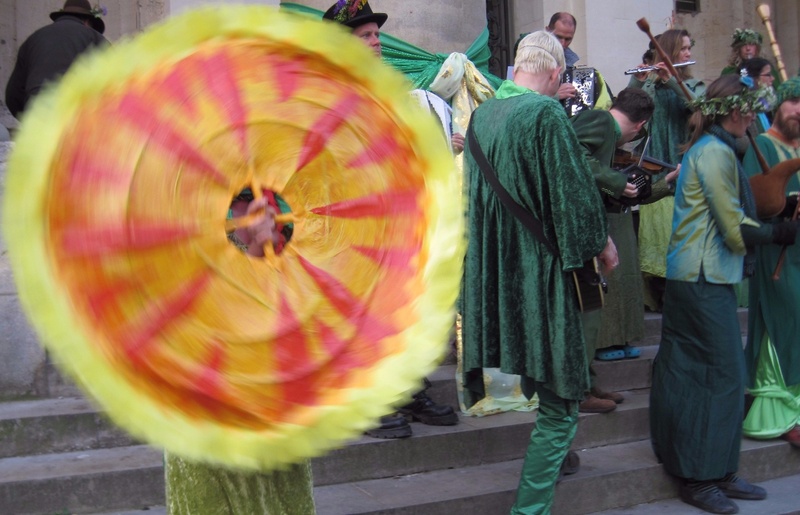 The Whirly Band, May Morning 2018 (photo Tim Healey). Bagpiper Jo Hamilton leads the band. 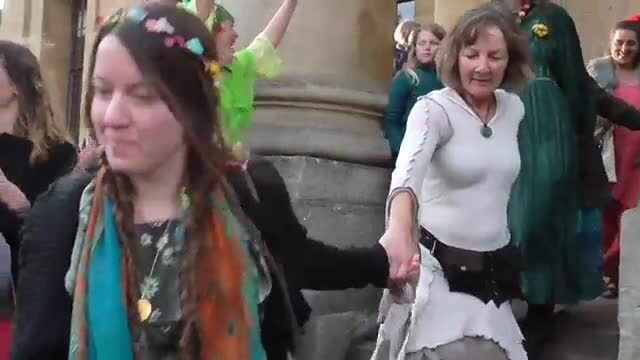 The Whirly Band plays from the steps of the Clarendon Building, May Morning 2017 (video Tim Healey). Andy Letcher founded the Whirlies. 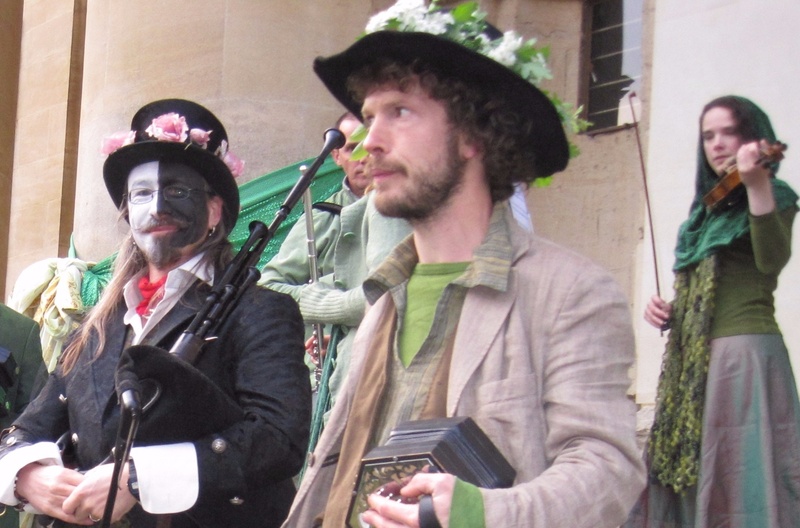 He is the man with the top hat and particoloured face seen in countless webpix of May Morning Oxford. Musician and songwriter he is also the author of 'Shroom' (Faber & Faber, 2007), a scholarly study of the magic mushroom. 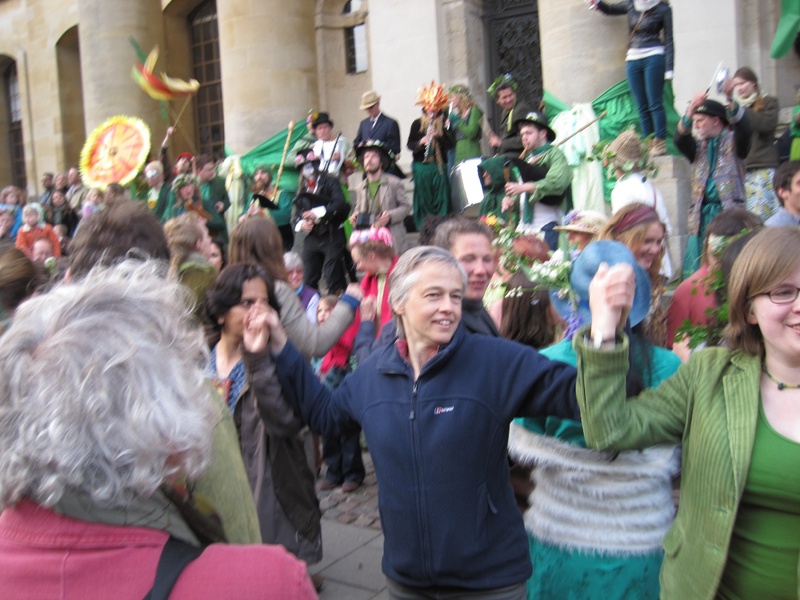 The 'Bosky Man,' as he is known, started playing on May Morning 2004 with a small group of friends, from the steps of the Clarendon Building. The band just, er, mushroomed over the years. 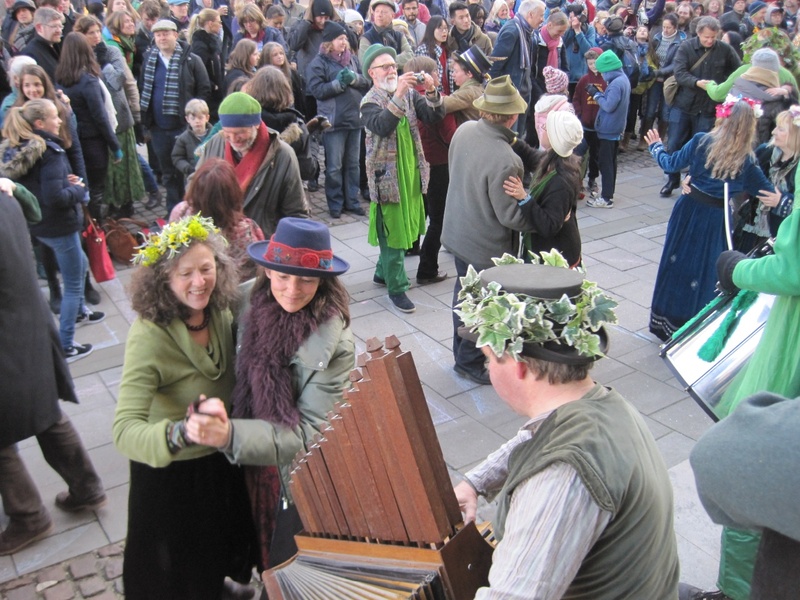 Andy moved to Dartmoor ahead of May Day 2014. 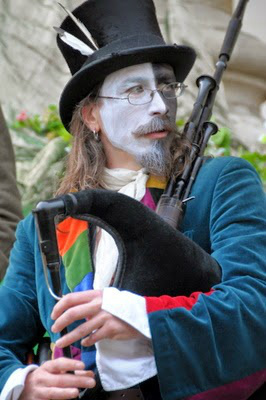 He reported via his blogspot that he had left the Whirly Band in the very capable hands of friend and expert piper, Jo Hamilton, 'to whom I've passed the bosky baton in a secret midnight ritual'.